Ford has been gaining an almost silly amount of traction in China over the last 12 months, and the announcement that Ford will start exporting the 2015 Mustang to China next year is only the next logical step in Ford’s plan to stake their claim as one of the country’s foremost auto brands. CarNewsChina.com spotted a Magnetic 2015 Mustang GT at a dealership in Beijing, indicating that it will be officially available in the country for the first time. The Mustang has only previously been available through China’s dealer-to-dealer market, but it is nonetheless a popular option with Chinese youths. Through the first half of 2014, Ford sales in China were up 35 percent thanks to the ever-increasing popularity of models such as the Focus, Mondeo, and EcoSport. 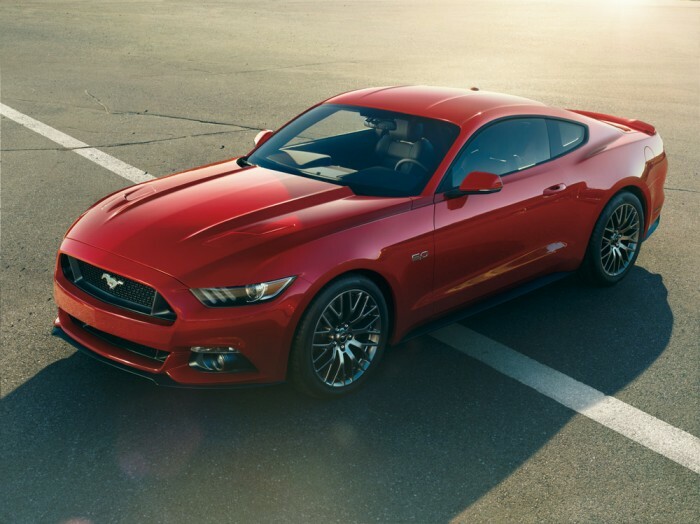 Greater availability of the next-gen Mustang will not only allow Ford to improve these figures and increase their profile with younger drivers, but it will also serve the purpose of upstaging the rival Camaro, which is officially available in-country. Full production on the 2015 Mustang is expected to begin in September, and the exportation of the 2015 Mustang to China should begin in the first quarter of 2015. More details are sure to be announced in the coming months.